Posted by santos. This entry was posted on 20051105 at 12:43 AM You can skip to the end and leave a response. First of all. Sorry for came to your blog without your permision. I was looking for some food pic in google and then found your blog. God is everything perfect, so nice and delicious. I hope you don´t mind to have me commenting your blog. I was expecting these and they are even more gorgeous than I imagined they would be! God job, Santos, :). The buttercream frosting sounds great (and looks good too!). 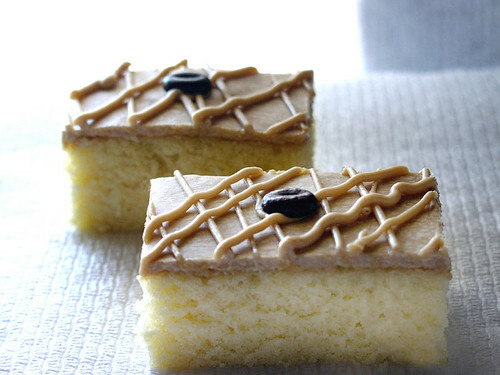 I can imagine how sinfully rich it must be...almost like the chantilly frosting from Liliha Bakery! The photos make these desserts look so tempting right now. Oh..Santos..! you make the most pretty cupcakes..!! the cupcakes look really cool. hi oslofoodie--thanks for the idea! i'll have to try your version of buttercream soon. must buy more eggs. hi flourish--they tasted nice too! hi damien--thanks! i've been enjoying your blog. great job! santos - perhaps one day you could do a 'day in the life behind the blog'. I want to see all the behind the scenes work that produces your awesome entries. I secretly think that you have a stylists on hand, and lighting crew...but then I'm probably just envious of your great cooking and camera work. hehe. the magic of guam sunlight perhaps? Donna Hay eat your heart out! 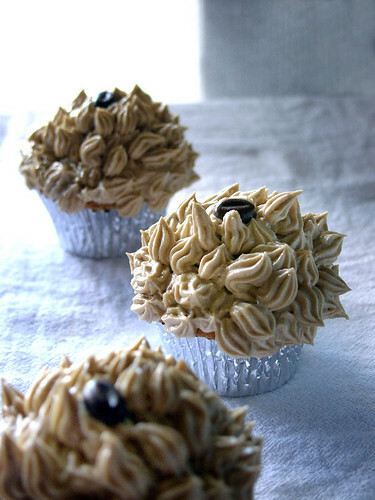 espresso + cupcakes = perfection. You are the Queen of Cupcakes, Santos. Those look crazy!!! Love 'em! Oh my god o_o That is.